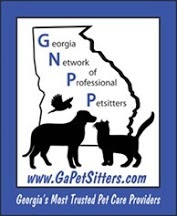 Pet Sitting Vacation Packages: Each visit in the following vacation packages can be fully customized and personalized to meet your pet’s personality and needs. We also offer FREE text updates and pictures after each visit during your time away upon request. Vacations must be at least a week. Vacation Package #1: “The Bronze Standard” This all-around package is great for just about any dog(s) or a home with a dog and cat or other pets. A 30+ minute visit with a walk and playtime, first thing in the morning and last thing at night, plus a quick potty break at lunchtime. 2, 30+ minute visits including a walk, playtime, feeding, changing out water, etc. Vacation Package #2: “The Silver Standard” When you are on vacation, feel relaxed knowing your dog is anxiety free. This is an ideal package for dogs that need to get rid of their energy, or it’s a perfect way to treat your fur baby to their favorite activity… nice long walks and companionship! 2, 1 hour + visits including a vigorous Power Walk, playtime, feeding, changing out water, etc. Vacation Package #3: “The Platinum Standard” Some dogs just need a little more attention than the average dog. Or maybe there are special needs that need to be met i.e. medically. We love to shower pets with affection and will care for any special conditions that need to be met. This package includes 4 visits per day. And as with all of our visits, they can be customized to your dog’s needs: walks, play time, etc! Vacation Package #4: “The Exotic Friends” Many Pet Owners are owners of other pets. So this is not for dogs. 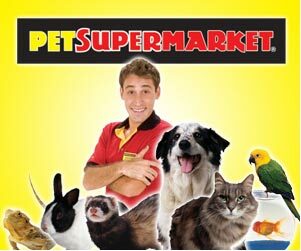 This is a great choice for cats, exotic animals and special needs pets. If these pets need added time or more than one visit. This package is just perfect for you and your pets. 2, 45+ minute visits including feeding, playtime, changing out water, scooping litter, etc.